FORT WORTH, Texas – You can count on Texas Motor Speedway President Eddie Gossage to go over the top in just about everything he does—and that includes honoring Jeff Gordon, who is retiring from the NASCAR Sprint Cup Series at the end of the season. 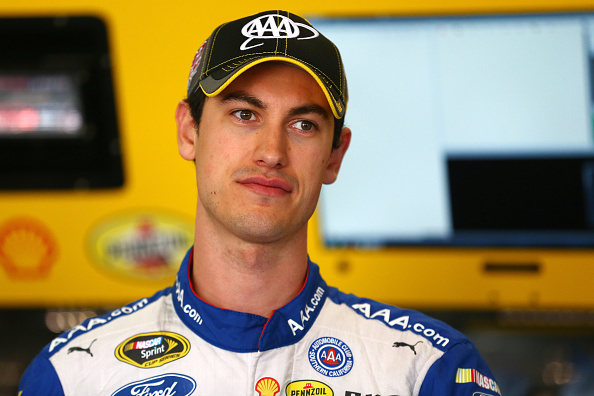 After Gordon took the dais in the Texas Motor Speedway media center, Gossage presented the driver of the No. 24 Chevrolet with a gift that was still on the hoof—a pair of Shetland ponies for Gordon’s daughter Ella and son Leo. 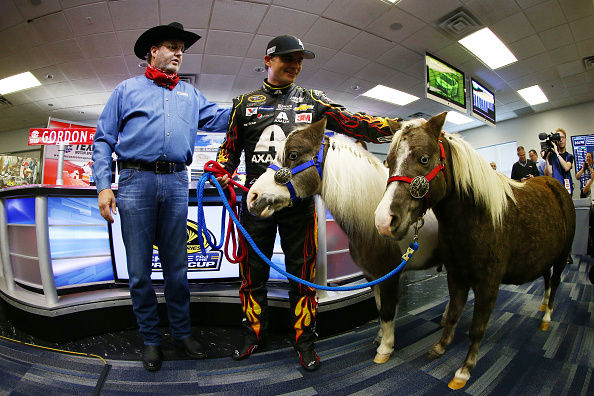 “Scout” and “Smokey” were delivered to Gordon in the media center, prompting a stunned response from the four-time premier series champion. “Yes, I do,” Gossage replied. The ponies were the highlight of the speedway’s tribute, which also included a pair of custom boots, a street sign replicating the one on TMS property that bears Gordon’s name and a mural commemorating his 2009 victory at the 1.5-mile track. “With all due respect to drivers like Richard Petty and Dale Earnhardt, Jeff is perhaps the most important driver in NASCAR history,” Gossage said. “He was the most transformative driver our sport has seen. He won races and championships while changing the perception of people around the globe about NASCAR race car drivers. NASCAR Drive for Diversity and NASCAR Next alum Darrell Wallace Jr. hit the wall with his No. 6 Roush Fenway Racing Ford during Friday’s NASCAR XFINITY Series final practice. 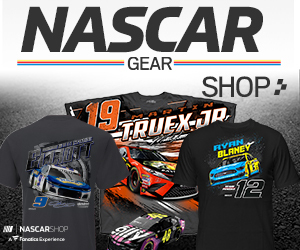 Because of the resulting damage, Wallace will drive a backup car in Saturday’s race… Homestead-Miami Speedway announced on Friday that the Ford EcoBoost 400, the Nov. 22 NASCAR Sprint Cup Series Championship Round event, has sold out for the second straight year. The race is scheduled for 3 p.m. ET and will be broadcast live on NBC… NASCAR and 3M Automotive Aftermarket Division announced a five-year extension to their long-standing Official Partnership. As part of the agreement, 3M Automotive Aftermarket will continue its nearly two-decade Sprint Cup Series contingency sponsorship that provides many of its innovative automotive products and solutions used in race cars and race shops throughout NASCAR, and collaborate with the NASCAR R&D Center to integrate them.